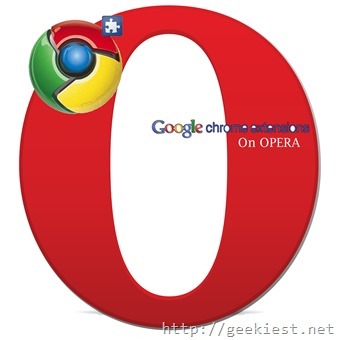 Opera one of the famous browser which was using its own browser engine earlier and later switched to WebKit as implemented by Google's Chrome browser. If you are an Opera fan and want to use Google Chrome extensions on your browser you can do it with the help of an Opera add-on. Open the link in your Opera browser and click “Add to Opera” button. After that you can visit the Google Chrome webstore extension section (link) and open your favorite extension. You will see an “Add to Opera” button, just click that button. Open the extension manager on browser (Menu => Extensions= > Extension Manager), and click install button close to the extension you just added. Access your data on some websites. Access your tabs and browsing activity. 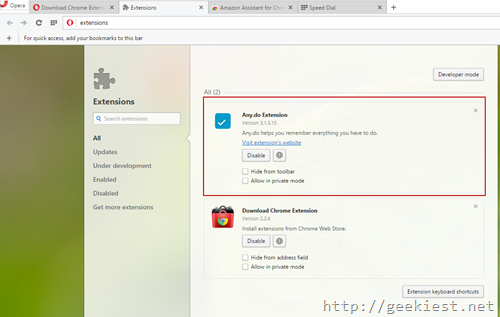 How to install Google chrome extensions on Opera browser.